If you’ve ever suffered from tennis elbow, you’ll know that the sore, hot pain on the outside of the elbow can be difficult to bear when you’re performing regular, everyday activities like picking things up or typing on a computer. 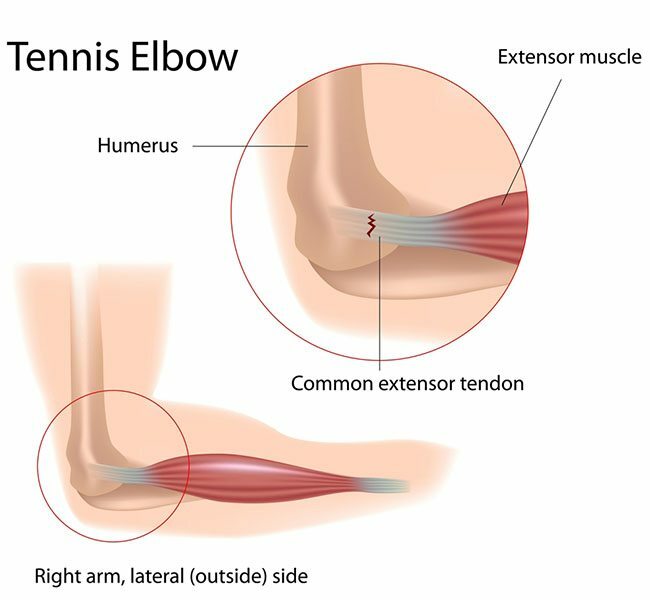 But while the condition is called “tennis elbow”, it doesn’t just affect tennis players, and it isn’t just felt in the elbow. Not all of these treatments will work in all cases. It’s best to get a full and thorough assessment from a qualified physiotherapist who can carry out treatment and recommend the appropriate method for relief of the tendon pain. In the meantime, heat and ice treatments are effective ways to reduce pain, which you can safely do at home. Ice massage (being careful to not cause ice-burn) over the site of pain, and applying heat to the forearm muscles, may help reduce pain. At star physio, we have two physiotherapists who have PhDs in tendinopathy and the associated tendon pain. If you’re suffering from tennis elbow, or any other tendon or joint pain, book a session with one of our highly qualified therapists and get your joints moving, pain-free today. Call 08 9481 1003 to book an appointment or fill out our quick online form for enquiries.